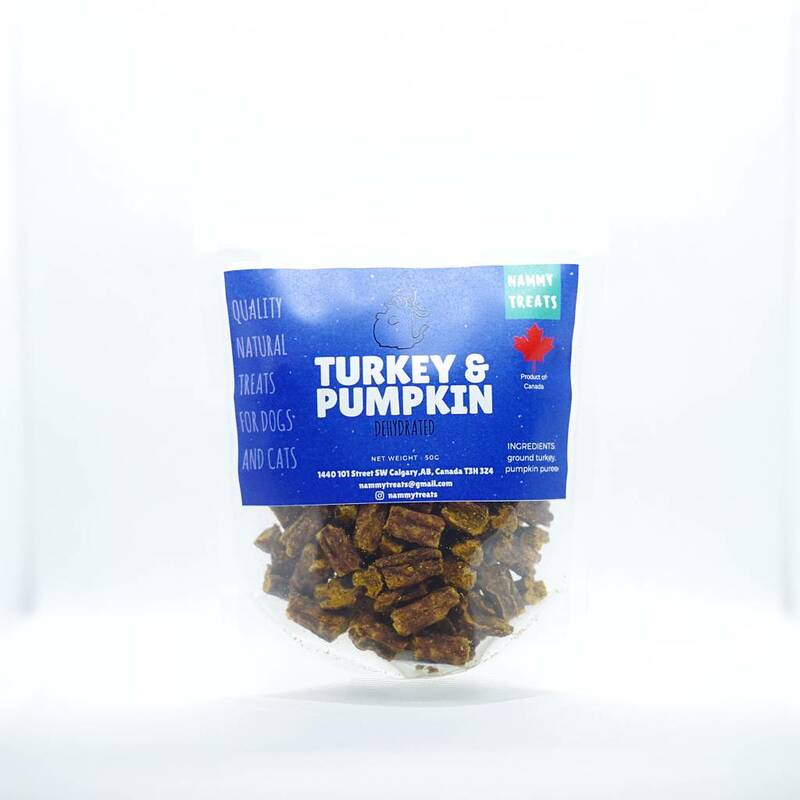 By eliminating preservatives, chemicals, colours, wheats, flours, and grains, we are able to make meat based treats that will be easily digested and utilized by their carnivorous digestive system. With Nammy Treats, you will find the second and last ingredient added to help digestion or rebuild the immune system naturally. Packaged in smaller bags to fit into pockets while training and walking. Mix of easily digested turkey protein and pumpkin with many benefits.